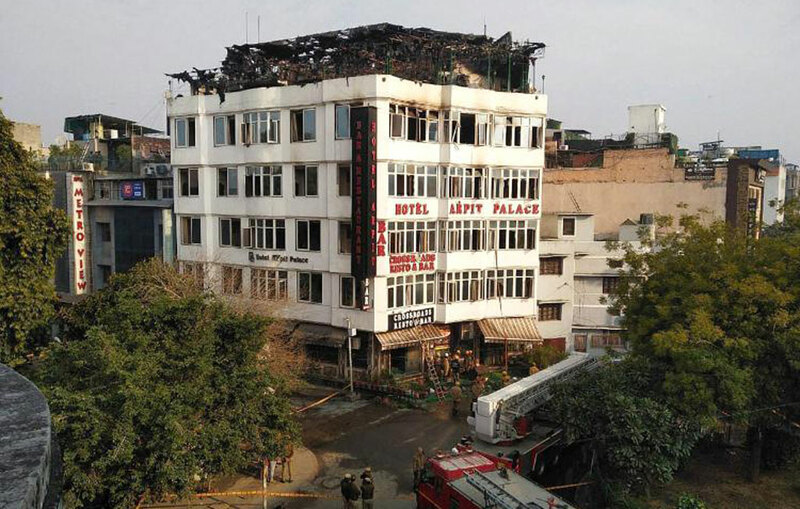 The blaze broke out on the attic of the Hotel Arpit Palace. Rescue slowed by the presence of wood panels in the corridors. Safety standards are under investigation: it seems that a kitchen was created on the top floor. 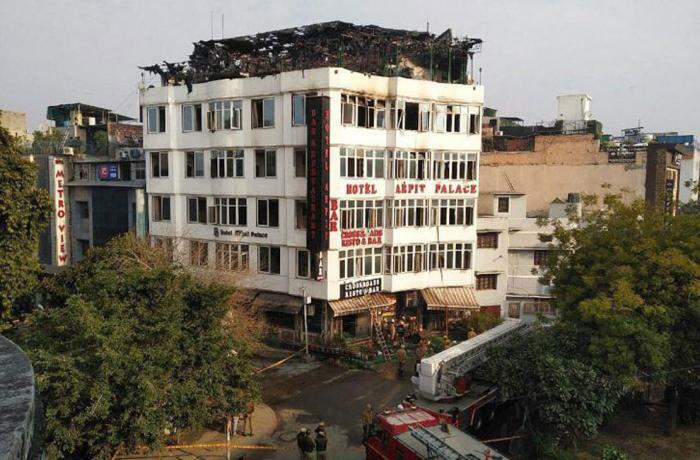 New Delhi (AsiaNews / Agencies) - At least 17 people died, including a child, in a fire overnight in a hotel in New Delhi. According to the testimonies, the flames broke out on the attic floor of the structure for reasons yet to be determined. As often happened in the past, even in this case the investigators point the finger at the negligence in respecting the safety standards. Hotel Arpit Palace is a famous four-story hotel plus terrace located in the Karol Bagh district, the central area of ​​the Indian capital. It is frequented mainly by businessmen. According to the firemen's reconstructions, when they arrived at the accident site around sunset yesterday, the flames wrapped the top floor and the victims did not escape. Most of them died asphyxiated by the smoke. Among the deceased, also a mother with her child, who threw themselves from the window in an attempt to escape the fire. The fire was tamed early this morning. Firefighters report that 35 guests have been rescued. One of the firefighters reports that the operations were also slowed by the wooden panels that lined the walls of the building, which made it impossible to escape through the corridors. Although the causes of the fire are to be ascertained, the investigators already point to poor maintenance and non-compliance with building regulations. Satyendar Jain, Delhi's urban development minister, said: "This is a striking case of negligence". In India, fires are very common, both due to their low levels of security and to the inefficiency of controls. Manufacturers often prefer to cut security costs at the construction site and construction abuses are widespread. This could be the case of the hotel in question: Minister Jain says that a kitchen had been built on the terrace.